All the benefits of an artificial grass pitch also means that it gets exposed to an enormous exercise load. Careful maintenance of artificial grass extends the life expectancy of your pitch significantly, while at the same time you maintain a good and gentle surface to play on which minimizes the risk of players suffering from injuries. 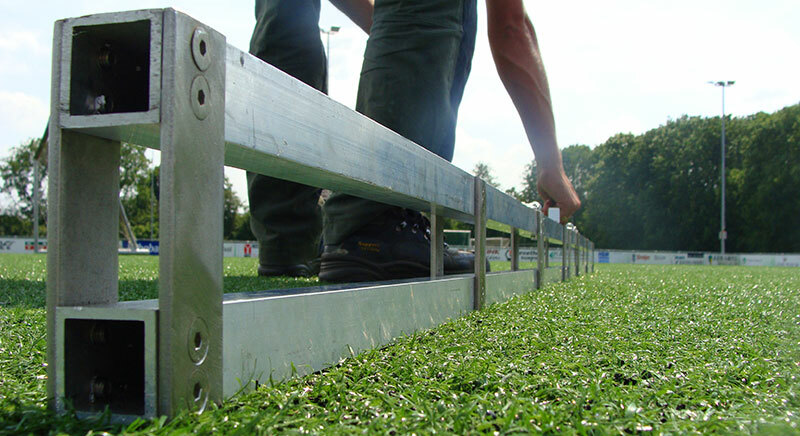 Through a service agreement Unisport helps you with major maintenance works in addition to the regular maintenance that your pitch manager is responsible for. Extends the life expectacy of your artificial grass pitch. Facilitates budgeting for maintenance costs (no unexpected costs). Minimizes the risk of injury. Provides reassurance that the maintenance work is carried out in a correct way. Guarantees that the work is done with the correct tools and testing equipment. Service agreements can be signed for any chosen time period. We carry out all work with our own contractor and our own machines and testing equipment for shock absorption, deformation, ball roll and ball bounce. All of this to ensure good quality and execution by the book.